At HealthPRO®, we specialize in the development, implementation and management of clinically strong, compliant and financially successful therapy programs. Our team brings over 15 years of clinical, regulatory, operational, and financial expertise and significant experience in nursing facility operations. In addition, our sophisticated technology system ensures caregivers have the information they need in real time to optimize care and reimbursement. In response to the changes that went into effect October 1, 2011, we created a comprehensive preparedness plan. As a result, we’ve helped hundreds of clients evolve their programs, mitigate the potentially negative impact of FY 2012 PPS, and adapt to the new PPS environment. 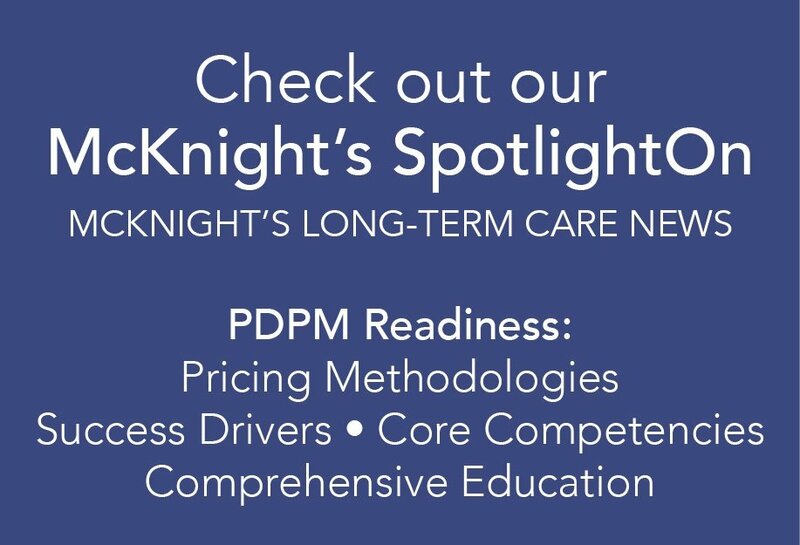 Through a comprehensive data and financial analysis, we’re confident that we can help you improve clinical outcomes, compliance, and therapy net margin. Technology solutions that automate documentation, outcome tracking, and reporting to support positive performance. We also offer a full service Contract Therapy Management approach that is a turnkey solution, which includes both therapy management and full staffing of the rehab department. Our depth of experience and proven track record of success ensures that you get the results you want regardless of which type of service you choose. No matter what approach you take, one aspect of our business never changes the quality and proactive nature of our work.